Olive oil is tasty in taste but its constitutes of antioxidants and monounsaturated fats is good for health. We can use it even pouring on salad as well. 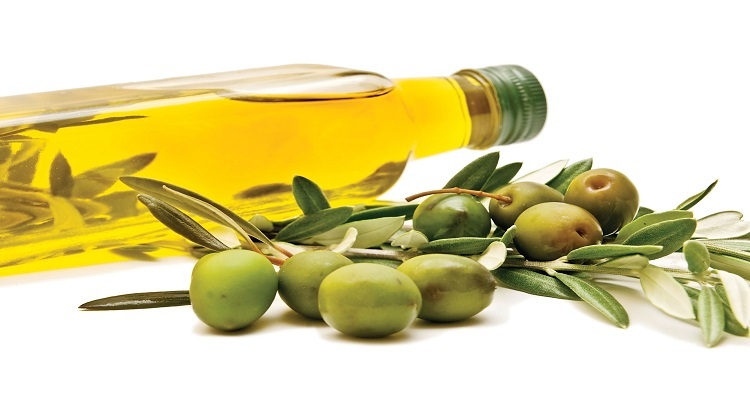 Olive oil doesn’t contain cholesterol and carbohydrates and its major benefits of olive oil. The smoke point of extra virgin oil is very high and it’s considered the best cooking oil. olive oil is not detrimental to health because its smoke out lesser than normal oil. its preserve the quality of oil boiling at 190 degrees so other normal oil or refined oil lost this property. Reduce the possibilities of cancer: Olive oil consists of phytonutrients ole yoketh el which help in lowering down swelling. it also alleviates the possibilities of reoccurrence of cancer. Keep heart safe: Olive oil includes LDL which controls the level of bad cholesterol. It increases the good cholesterol level in blood. It plays a protective role and stops the formation of fatty patches. According to a research, those people who take 6 tablespoons of olive oil or more than this in their daily diet have 87 percentage less possibility of the cardiovascular problem. Lessen the risk of diabetic:Olive oil controls the blood sugar level. Its comprise a little or very little saturated fats. Taking 1 tablespoon of olive oil reduces the risk of the possibility of Diabetic -2 by 10 percentage. Fit fat:olive oil consists of high calories. One tablespoon consists of 120 calories that’s why we should use it in a limited way. Stomach remains full by consuming olive oil. Its control appetite as well as the desire of eating sweet. Beauty benefits:Olive oil is used for many years for keeping healthy skin and strong hair. If you are thinking to use olive oil as a moisturiser then use high-quality extra virgin oil. Consuming 2 tablespoons of olive oil make your skin young and glowing. Remove wrinkles by applying the mixture of lemon juice with olive oil on your three times a week. Olive oil is an integral part of Mediterranean diet. According to new research, olive oil protects liver from oxidative stress. Olive oil maintains blood circulation which leads to control blood pressure is another benefits of olive oil. How to store olive oil:Olive oil becomes oxidise and stale when it comes to direct contact with sunlight, oxygen and heat.No need to keep this oil in refrigerator and keep away from stove ,gas oven, microwave etc. Life of olive oil depends on packaging and quality of oil, olive oil in seal bottle has life from 3 months to 2 years.If you want to take full benefits of olive oil then use it within 6 months. Beautiful hair attract everybody but having healthy hair needs look after and includes some vitamins in your diet so the good-looking of hair always stay on. There are various vitamin for keeping healthy hair. Vitamin-A is essentials for healthy growth of hair. Its help to keep up shiny and blackness of hair. Vitamin-A contain such antioxidants which give humidity to hair scalp and further stop it from dryness. It’s also help to make sebum on the scalp and supply humidity to hair which further stop the breaking of hair. Foods rich in vitamin include carrot, sweet potato, cabbage, milk, egg yolk, mango, orange, apricot (khubani), tomato juice and cheese. Vitamin-B3 controls the blood supply to hair follicles on scalp.Woman who’s estrogen level lower down due to imbalance of hormones faces the problem of hair breaking at large. Deficiency of Vitamin-B6 brings about gangrene and depression problems which increase the frequency of hair fall. Vitamin-B12 also play vital role in preserving the healthy hairs. Some foods which are high in Vitamin-B3,B6 and B12 consists of whole grains, meat , fish, chicken, wheat germ (ankur), egg yolk, vegetables, milk, curd, rice ,walnut, almonds, Bananas etc. Vitamin-B complex also taken as a supplement besides these foods. This supplement also helps in maintaining the growth and density of hair. Constitute water-soluble properties besides antioxidant elements which assist in maintaining healthy hairs. Antioxidant in vitamin-C prevents drying out and tenderness of hair. This vitamin also helps in untimely white hair and hair dryness problems. Vitamin-C help in controlling hair color, growth and healthy hair. There are the foods which contains vitamin-c like lemon, Guava, grapes, orange, Pineapples, leafy vegetable etc. Hair fall lessen by continuous consumption of vitamin-C in your diet. Vitamin-C never produces in body however ought to take up as vitamin or supplements. Vitamin-D also help in maintaining the healthy hair, calcium help to make hair stronger. This vitamin expedites creation of follicles which results in re-birth of hair growth. There are various source of vitamin-d like whole grain, orange juice, fish, low-fat milk etc. Vitamin-E keeps away the problem of rough and dry hair as well as help in growth of hair. This vitamin control blood supply on scalp which help out in growth of healthy hair. Foods which are full of vitamin-E are almonds, milk, papaya, sunflower oil, tomato, spinach etc. Use vitamin-E oil as a supplement for healthy hair. Heat waves blow in the middle of the day in summer is known as Heat strokes. You should guard your head and ear by covering them with a piece of cotton or Umbrella etc. One must take a glass of water before going out of home. Following are the some drinks and foods which stay away the risk of Heat strokes. Shikanji has been always a good drink in sweltering summer season in India. We face a shortage of water in our body due to too much sweating and deficit of other supplement but shikanji succeed in these deficiencies since it’s contained electrolytes. Indian lemonade keeps your stomach cool as well as your digestive system to work better. Drinking a glass of lemon shikanji purify your blood and boost your body energy. If we want ourselves safe from heat strokes, then we must have green chilly with meals in summer days. Antioxidants found in green chilly enhance the capacity of our immune system that would fight against the diseases. Using sattu syrup is very handy in whenever you are feeling thirsty in scorching summer period. It helps in keeping the body temperature lower and keep away other stomach diseases as it has high quantity of fiber. Sattu has heat strokes fighting elements so use it as a health drink. Onion is a gem in summer season, there is no alternative. Eating raw onion with meals in the form of salad on everyday protect us from heat strokes. It is very beneficial in loose appetite and loose motions. Onion guards us from heat and helps our immune system perfect. It protects you from heat strokes If you would put a piece of green cardamom into your mouth before going out in sunlight. A glass of sugarcane juice instantly boosts your energy level as it contains vitamin–C, zinc and phosphorus. You don’t face the water deficiency in your body by consuming cucumber, as its consist of 95% water. Best fruits to eat in summer for Healthy living. Best summer season fruits in India for healthy living. Mango is found in every part of India from north to south and west to east and its a best fruits to eat in summer. There are plenty of varieties you can find across the India and it has various names in different region. There are 25 carotenoids found in mangoes and the maximum quantity of beta-carotene among all. Mango contains a high nutritional value which gives you more energy in summer season and its antioxidant constituent lessen the possibilities of heart disease. As it is very effective in controlling blood pressure. Mangos also lessen the possibility of inadequacy of blood as it does consist of sufficient quantity of Iron. It’s also supply sodium and zinc to our body which guard from sweltering heat and heat waves and preserve our body temperature stable.People are used to make mango shakes to boost their energy in summer season in India. Watermelon has a sufficient quantity of water which fulfills the body requirements of water so it’s a best fruits to eat during summer season in India. Watermelon eating habits also relive in constipation (kabz) by making intestine muscle stronger. Watermelon consists of high quantity of fiber and a very little portion of carbohydrates, which is good, even for diabetic patients to consume it in the summer season. You can control your cholesterol level by including these fruits in your daily diet because there is no fatty constituent found in it so it’s a gem for heart patients. Lycopene is vital for maintaining our shining and clean skin which is present in watermelon. Whenever you take in watermelon just sprinkle a pinch of black pepper powder, it really alleviates your digestion problem. Another major summer season fruit in India is apricot that is yielding in the hilly area. It’s vital to have apricot in summer season to keep you fresh and your body fit. Apricot consists of various vitamins and fiber. We can get rid of stomach worms and improves digestion so make our immune system stronger by consuming it. You can eliminate Pimples / acne (keel muhase) and get clear, glowing skin by leveraging benefits of Apricot. Having apricot in the diet also controls cholesterol level. Muskmelon contains 95% water and many others vitamins & minerals. It’s also a good source of antioxidant & vitamin-C and its potassium property keep you away from the Depression. We can use muskmelon in digestion and acidity related problem. Effects of eating junk food in India. Junk food eating numbers increasing as India’s economy flourishing, due to working conditions, especially in night shifts and long hour duties kind of jobs. They choose easy options just to eat junk food even without considering the effects of eating junk food. May be they do this due to insufficient time or convenience ignoring the effects of eating junk food. Most fast food contains high quantity of carbohydrates, which leads to high calories that would increase the body weight and it will become the main factor of heart diseases in India. Samoa is very fatty snacks and increase cholesterol level abruptly as its trans-fat constituent enhances the risk of heart attack and your body gets bulky. This snack contributes maximum ill effects of eating junk food in India. Junk food contains Trans fats having no additional nutrition value and at the same time, intake of junk food increases the high risks of type 2 Diabetes among the Indian young population, so its right time to make aware our people about the effects of eating junk food on their health. Chole-bhature causes heartburn and acidity problems, also detrimental to heart and diabetic patients. Obesity is the major health hazards caused by junk food in India and obesity trigger the situation in which sleep is successively interrupted by deep and long breathing. Eating pakora has been suicidal since its reduce fine cholesterol and grow unhealthy cholesterol, which add another major urban problem-Obesity. Most of the beverages contain high quantity of sodium, which makes feeling of stuffy and full. Sodium also contributes to large heart muscle as well as high blood pressure due to its salty component. So don’t take too much sodium, contains drinks which causes kidney related and stomach diseases, so beware of effects of junk food on health. Lastly, Junk foods and drinks also create dental cavities and deteriorate tooth enamel because of acids produce in your mouth after consuming foods and drinks having high carbohydrates and sugar.